Warning: Wireless charging may damage magnetic strips or RFID chips found in some credit cards, security badges etc. To ensure optimal wireless charging, DO NOT place anything (e.g. magnetic plate, credit cards etc.) in between the phone device and wireless charger while charging. Fast Charge Modes: Support 10W/7.5W/5W three modes. 10W Wireless charger pad charges qi enabled device or a device with a qi compatible cover to place. the 10w fast wireless charging mode is only available for the Samsung Galaxy Note 8, S9, S9 Plus, S8, S8 Plus, S7, S7 Edge, Note 5,etc. ;it is also compatible with all qi enabled devices with standard wireless charging , for example, iPhone XR, XS, XS MAX,iPhone 8 iPhone 8PLUS iPhone X the nexus 4 5 6, etc. Anti-skidding Design: The faster wireless charger is made of silicon ,unique and beautiful appearance .the silicon design also can protect charger from sliding back and forth, use securely. This also is the best choice to charge on car. 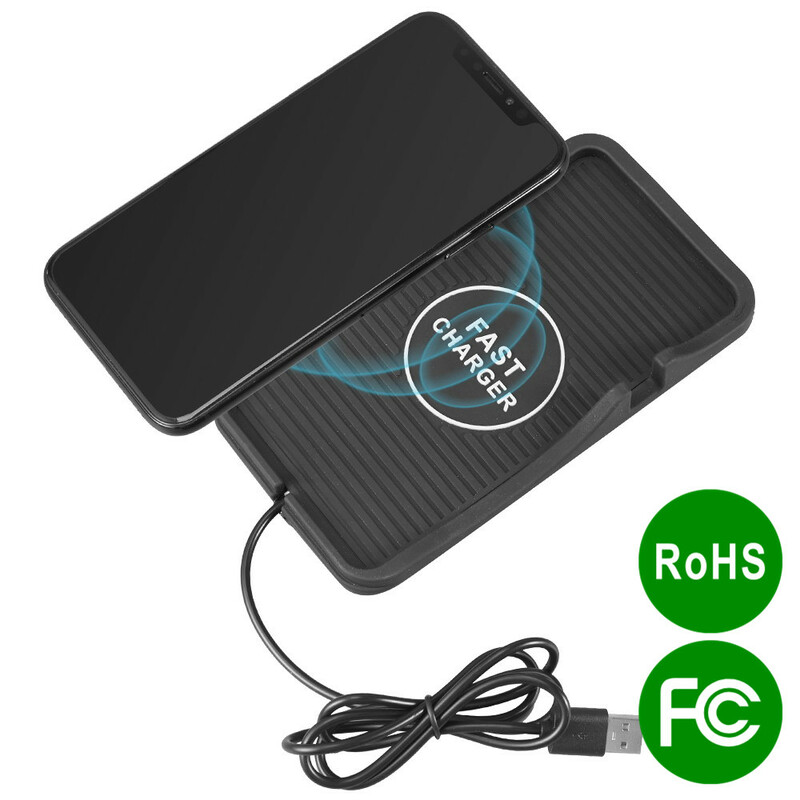 Easy to Use: Connecting wireless charging pad with power source via 5V/2A or 9V/1.67A AC adapter ; check whether the micro usb cable connects stably with wireless charger pad ; put your phone on the charger , you can place any way you like .Note;it maybe the best choice to take off your phone.